Situated on elevated ground, these ultra-luxurious villas offer sweeping views of the resort grounds and the ocean yonder. 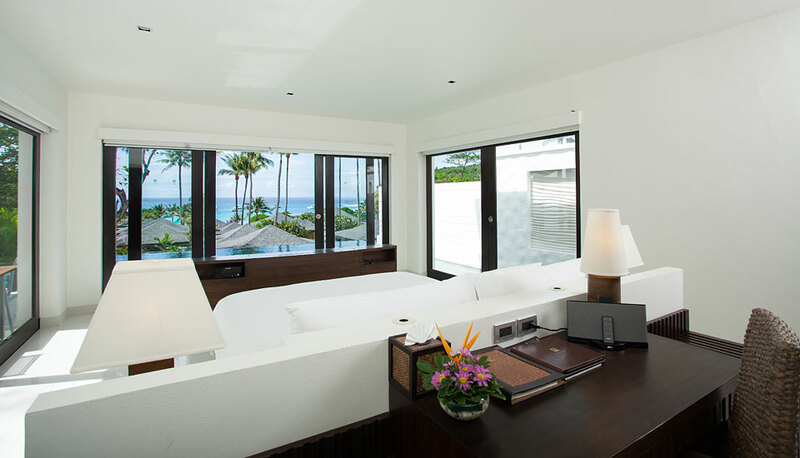 The Master bedroom comes with its own large en-suite bathroom and spacious two-person Jacuzzi spa tub. The second bedroom has its own en-suite bathroom. 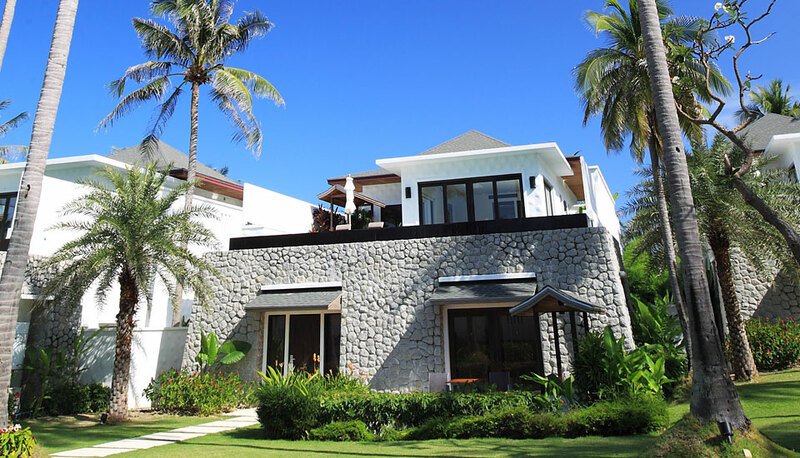 The entire villa is equipped with the very latest in-villa automation and multimedia entertainment systems. A ten-meter infinity pool offers direct swim-up access from the master bedroom and spectacular sunset views. 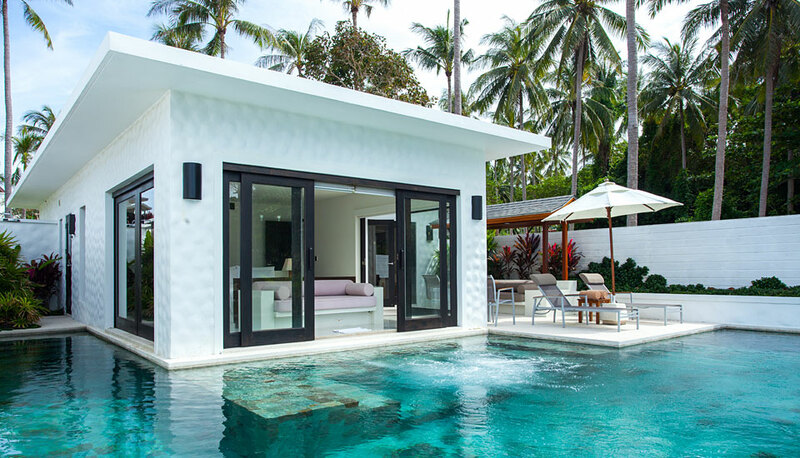 All villas have separate indoor shower with Jacuzzi bathtub as well as an outdoor rain shower.